A date night worth investing in! Thu. May 16, 2019 6:30 p.m.
Why not dedicate a fun night out with your spouse to laugh, make plans, and grow together? 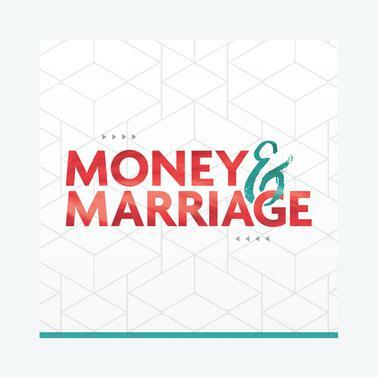 You'll reconnect and realign the goals of your relationship and your finances as money expert Rachel Cruze and marriage expert Dr. Les Parrott walk you through practical tools and strategies to communicate more effectively and work better together. Purchase general admission seating to the life-changing Money & Marriage LIVE event. Individual ticket for the best seats in the house! Premier seating is up front and reserved. Individual pass for front row seating and before the show, enjoy a private reception and Q&A with speakers! **The price of each seat purchased includes a service fee of $6.99. Dr. Les Parrott, psychologist and #1 New York Times bestselling author, is the creator of the “game changing" Deep Love Assessment - a highly customized tool for couples at any age or stage. His books, coauthored with his wife Leslie, include Love Talk, The Good Fight, Your Time Starved Marriage and the award-winning Saving Your Marriage Before It Starts. Les has been featured on Oprah, Today Show, CNN, Fox News, The View, and in USA Today and The New York Times. Les is a professor of psychology at Northwest University and he and Leslie are the co-founders of the Center for Healthy Relationships on the campus of Olivet Nazarene University. Learn more at LesAndLeslie.com. When you purchase a live event ticket, you will receive an email after completing your order. In this email you will be provided a link to print your event pass. You will be issued one link containing all the event passes to your event(s). This email will also contain additional information about the event including specific times and locations as well as details regarding childcare, VIP information, will call, etc.